Fussy eating is a problem most parents have to face with their children. Most children become very fussy when it comes to food around the ages of 2 and 3. This is because the kids are somewhat developed enough to be independent and their appetite drops. This is a crucial time and if you do not tackle the fussy eating problem during this stage, it will be very hard to tackle it later on. Toddlers are best known for fussy eating habits and fussy eating disorders are more common than you think. 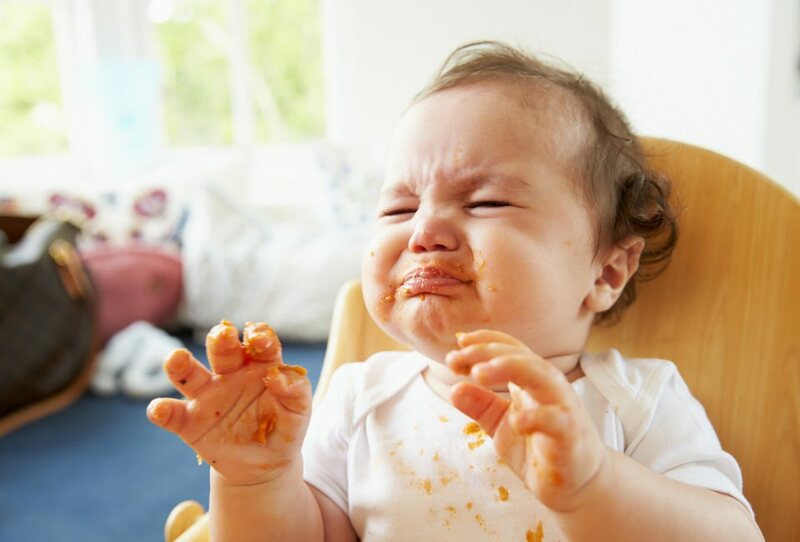 Understanding fussy eating can really help parents to curb it at a very young age. All toddlers are picky eaters at some point and most of the times it is not even about the food they are asked to eat. Here are some common problems kids associate with food and how you as a parent can solve them. Fussy eating usually occurs when a child is 2 or 3 years old and it has even been observed in toddlers. This may be due to various reasons. One of the reasons may be that your child feels that he/she is independent to make their own choices and hence refuses the food you offer them. At instances like this, parents offer what the child wants in order to get them to eat something. This, however, is not a long term solution as it can lead to a severe fussy eating disorder. You can solve this problem by making it seem like your child has control over the menu when in fact you are just giving them a bunch of choices. This way you can get your child to eat what they should be eating while they too associate happy memories with their food. You may also like: How To Deal Child Temper Tantrums Easily! Yes, you read right! Taste buds in kids are fully developed and are far more in number than in adults as we lose the total number of taste buds as we grow. This means that children are more sensitive to all flavors including bitter tastes. Naturally, sweet flavors trump bitter flavors. 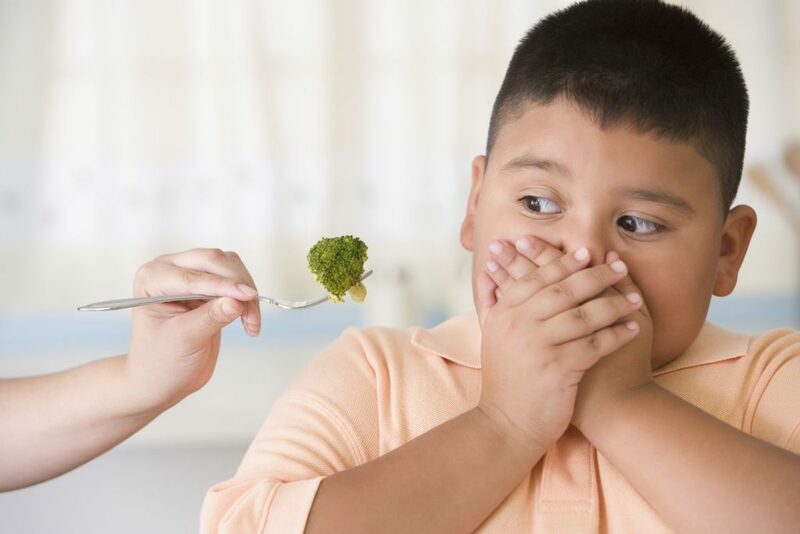 This is why you should present bitter foods like Broccoli and Zucchini as a choice and not push your children to eat it. Pushing it will only make your children hate that food in the long run. Another thing to be noted is that roasting brings out the natural sweetness of some vegetables and so try roasting your veggies. After the growth spurt evens out, your child will begin to feel less of an appetite with every passing day. This should not be seen as a problem and food be forced onto them. Children eat better and healthier foods when hungry so it is better to let them be and feed them healthy foods when they are actually hungry making them develop an appetite for the healthy veggies as well. Eating raw vegetables is a major concern among parents. But it is no cause of concern as veggies are good for health. You just need to see if that particular vegetable is a choking hazard. This is a major problem from the point of view of a child when it comes to food. When the food served is simply not visually stimulating, children may lose your appetite. Simply calling the food different names which makes it seem more interesting will go a long way. Another thing to remember is that heaping on lots of food and expecting your child to finish every single bit is simply not possible. Instead, start with small servings and give multiple servings instead of dumping it all at once on their plate. You can find many picky eater ideas and fussy eater recipes on the internet. This will help you cook and plate up an amazing plate of food that is both tasty and visually stimulating. 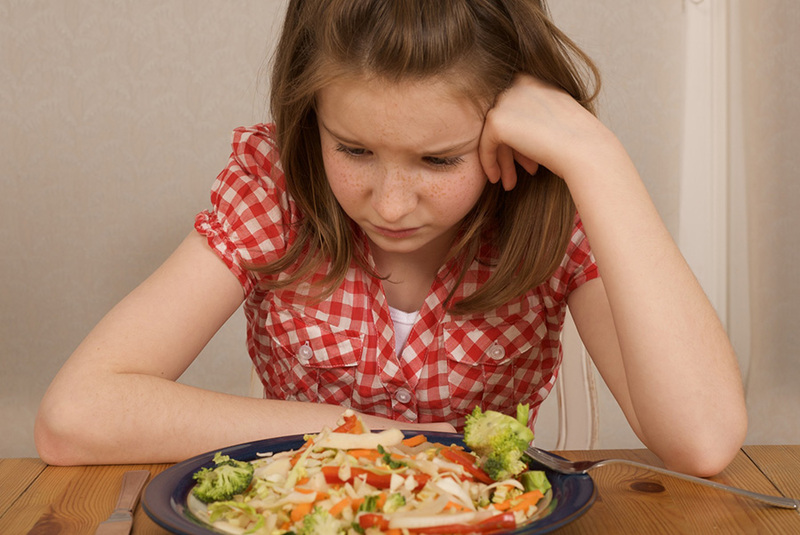 Fussy eating is just another problem with kids that need to be tackled in the right manner. Not doing so will have adverse effects in the future. Hope this article helped you understand the problem and gave a solution.